My Father stayed with me for a month, maybe more, when The Departed left. He changed the locks and helped me sell my car and drove The Child to school and walked The Dog, slowly. He baked bread regularly, and made us dinner, and complained about the state of my kitchen. You don’t have any staples around, he said. No beans, no rice, no bouillon. He had a point: I was endlessly at the supermarket, and it seemed like every time I wanted to cook something resembling dinner, I had to go the store yet again. There was another point, though, and it was something I picked up from Mr. Faraway: I did not know how to make meals that worked for several days, so for every meal, I had to cook something. There was no pot to nibble from, no leftovers to reheat. It didn’t take long to fill the pantry with dried beans, but it has taken longer to find the standby recipes I needed. 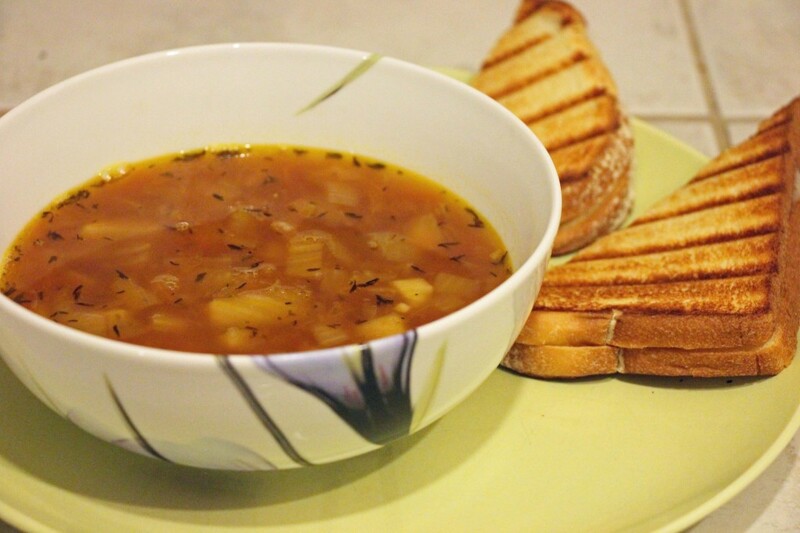 The Garlicky Lentil Soup certainly has the potential to be one of those recipes. 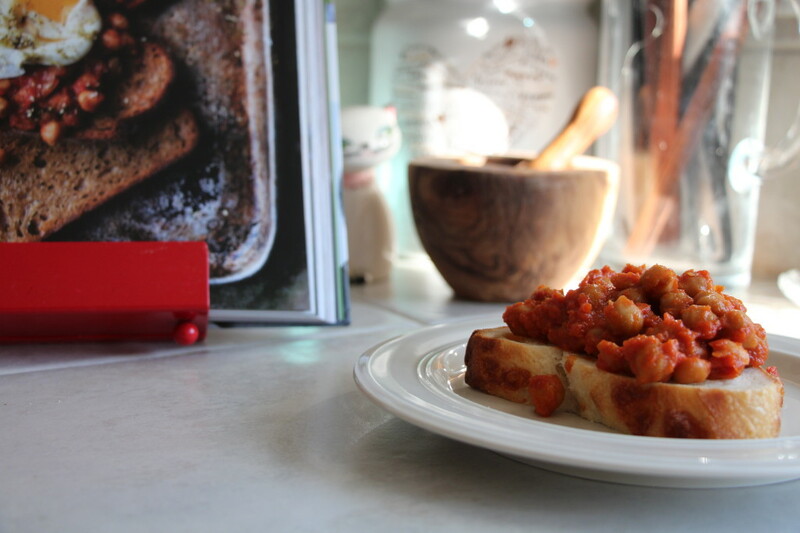 Boulangerie Beans has been one of those recipes for a long time. And after sampling several pinto bean recipes, I finally came to the conclusion that Melissa Clark’s recipe for Pinto Beans with Bacon and Red Wine, published in the New York Times, is another fallback meal. It meets all the requirements: It makes quite a bit, it includes ingredients generally found in a well-stocked pantry, and it involves two of my favorite things to cook with, Bacon and Wine. I swapped out dried rosemary for the fresh that was called for in the original recipe, because my rosemary plant seems to be struggling lately and I didn’t want to give it any more trouble. Fresh is always wonderful if you have it, but dried works well too. It is smoky and wine-y and very filling, especially when served with a nice crusty roll. 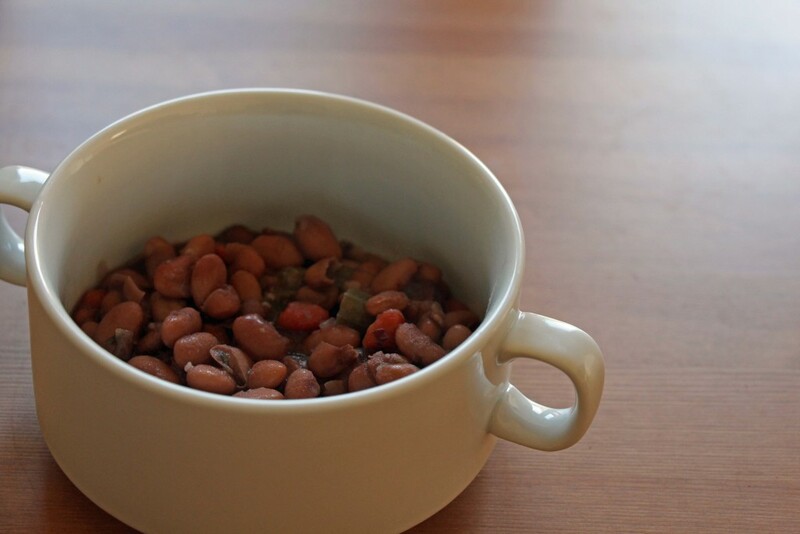 I love this dish for being a sort of classy “pork ‘n beans” – much nicer than that stuff that comes in cans, of course, but then again I always loved that stuff in cans when I was a kid (and well through my teens). This keeps well in the fridge so you can make some on a Sunday, and just warm some in a bowl when you’re feeling hungry. In a large pot over medium-high heat, brown the bacon and render the fat, 5-10 minutes. Stir in onion, celery, carrots, garlic and rosemary. Cook, stirring occasionally, until vegetables are tender, 5 to 7 minutes. Add the beans, drained, to the pot, along with the salt and water to cover (I used about four cups). Bring to a boil; reduce heat and simmer gently until beans are just tender, 45 minutes to 1 hour. Check the pot periodically and add water if needed. Meanwhile, in a small, uncovered pan, simmer the wine until it is reduced by more than half. Add the wine to the beans, and continue simmering, uncovered, another 10 to 20 minutes to thicken the broth and meld the flavors.